Judge Fines Uber $7.3 M, Suspends Service in Calif.
Uber has not provided data that would reveal how many requests for rides they received from people with service animals or wheelchairs and how many such rides had been completed. Uber has been fined $7.3 million for refusing to give California regulators information about the ride-hailing company's business practices, including accident details and how accessible vehicles are to disabled riders. The decision, handed down by chief administrative law judge Karen V. Clopton at the California Public Utilities Commission, said that Uber has refused to comply with state laws enacted to make sure livery drivers mete out rides fairly to all passengers regardless of their geographic location or circumstances. Uber has not provided data that would reveal how many requests for rides they received from people with service animals or wheelchairs and how many such rides had been completed. Other data includes information such as time, date, zip codes for pick ups and fares paid by riders. 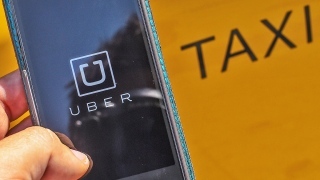 The regulatory agency said it would allowed Uber and its competitors such as Lyft to operate in the state as long as the companies reported aspects of their activities. The Los Angeles Times reports Uber’s license to operate in the state will be suspended next month unless the company appeals or a CPUC commissioner requests a review. Uber has previously tussled with public officials. In Portland, Oregon, for example it had an extended disagreement with the city that led it to suspend operations. In France, Uber suspended its low-cost service following an escalating legal dispute and sometimes-violent tensions with traditional French taxi drivers. French authorities had ordered the service – called UberPop – shut down, but Uber refused, pending a legal decision at a top French court.